PFA Senior Cup winners ICA Sports. 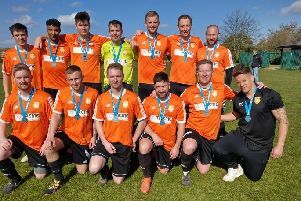 Four teams completed trophy trebles in the local 2016-2017 football season. They were Sunday Morning League champions Limetree, Peterborough Sports Under 15s, Peterborough Northern Star Under 16s and Peterborough Northern Star Under 18s. Peterborough Northern Star Under 18s.